h diary: racconti da monaco di baviera - ian mosley: intervista esclusiva 1997-2011 pt.3 - recensione: Edison's children - retrospettiva 'Marbles'. 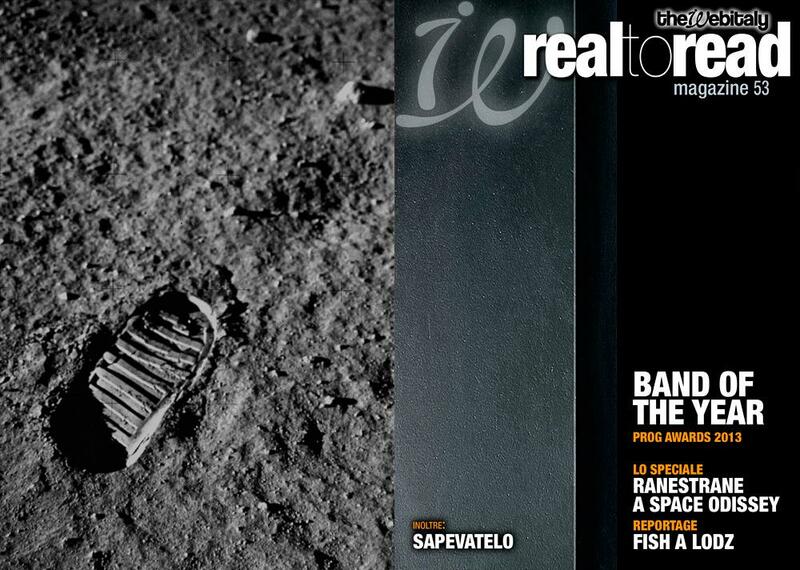 h diary: racconti da monaco di baviera - ian mosley: intervista esclusiva 1989-1996 - ranestrane: recensione e racconti della band - cervia 2011.
retrospettiva brave - ian mosley: intervista esclusiva 1983-1989 - tutte le novità su vinile - your script. 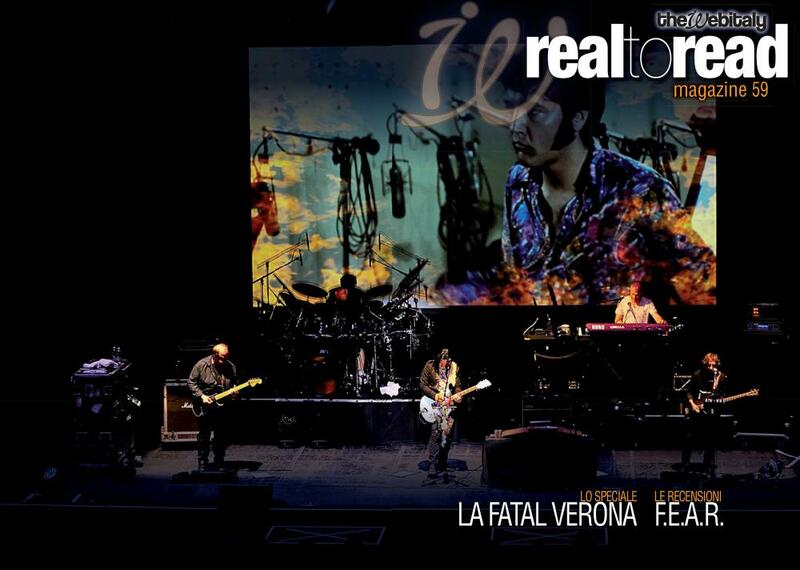 speciale marillion weekend 2011 - h natural a milano - loreley 2010 - il tour con i deep purple. 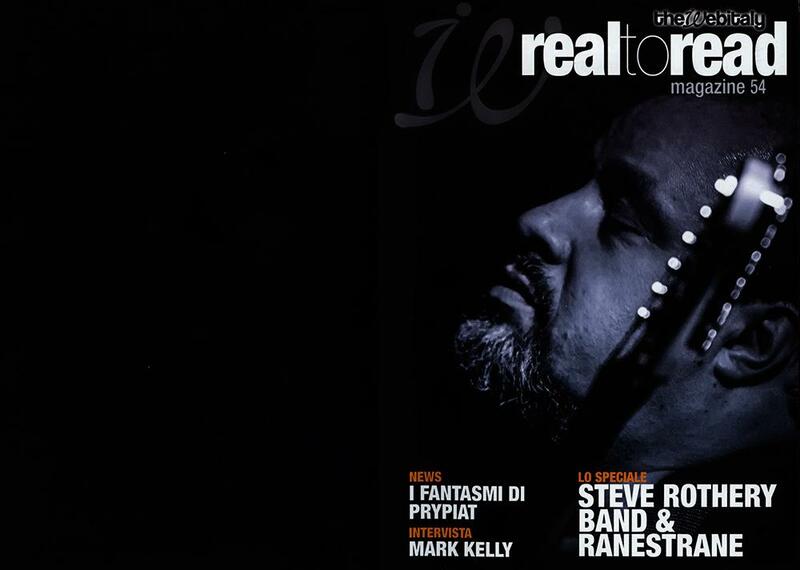 intervista a steve hogarth - speciale marillion a mogliano veneto - steve rothery's guitar clinic - retrospettiva anorknophobia - le nuove uscite della racket. intervista a mike hunter - speciale less is more a roma - recensione transatlantic - retrospettiva marillion.com dieci anni dopo. 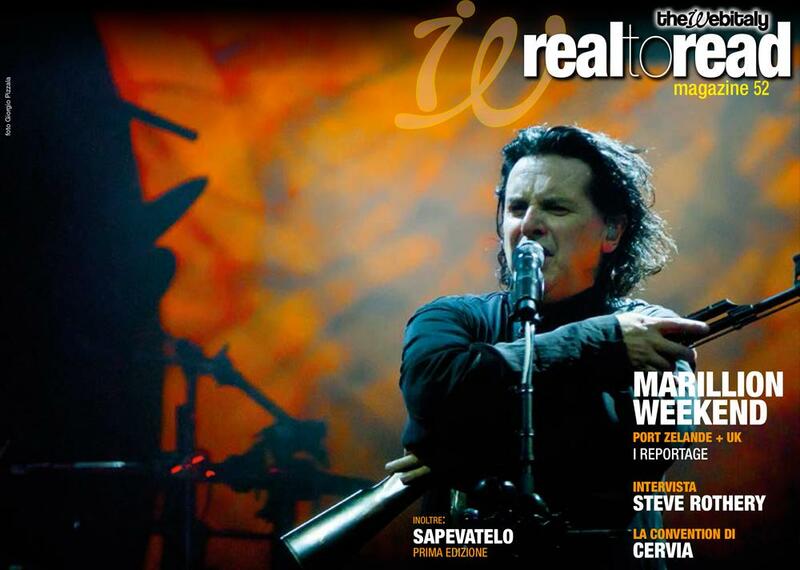 intervista a dave meegan pt.3 - speciale convention di cervia - da cervia ad orlando - speciale marillion weekend 2009.
intervista ai marillion - intervista a dave meegan pt 2 - speciale happiness is the road - h naked in the chapel - concerti: marillion e h natural. 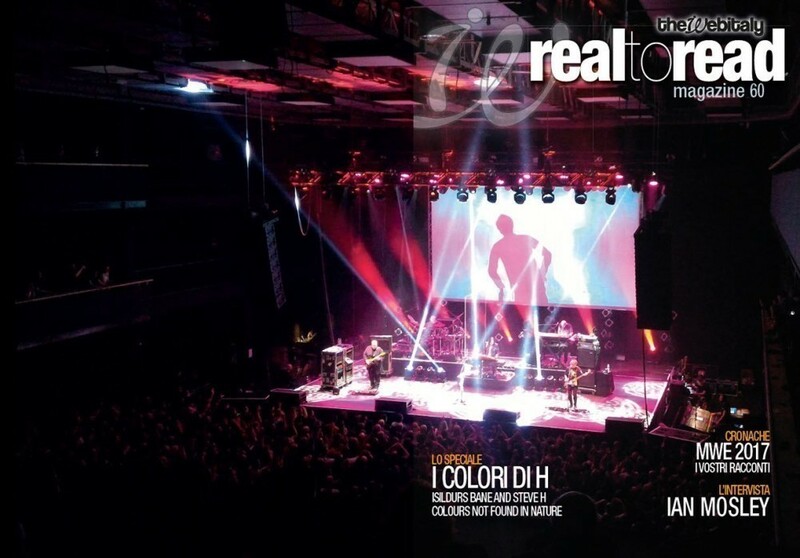 intervista ai marillion - intervista a dave meegan pt 1 - speciale convention di cervia - le recensioni: friends e family - speciale be-free - a brave night - i ricordi di radiation. intervista a mark kelly - speciale h natural a cervia - snow-where christmas tour - somewhere in london, Christmas CD 2007 - i ricordi di holidays in eden. 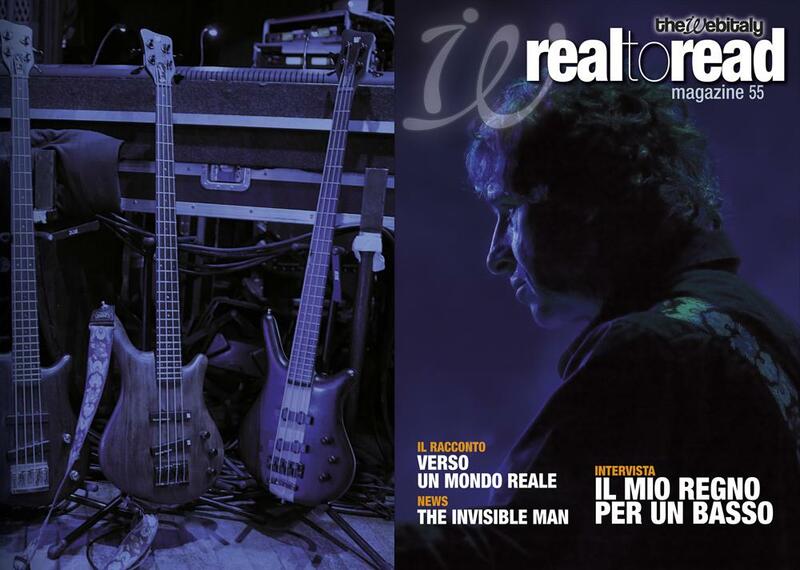 intervista a pete trewavas - marillion: somewhere else - gazpacho: night - somewhere else italian tour - marillion weekend 2007. 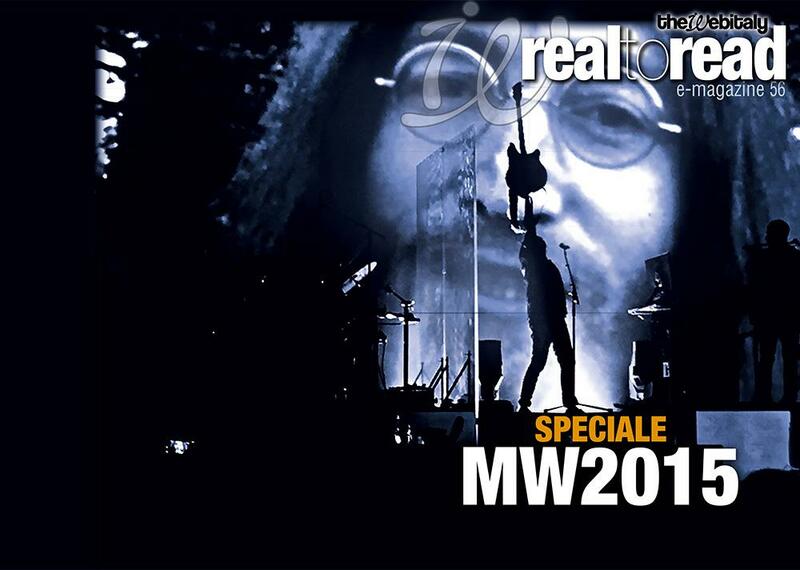 Speciale Somewhere Else - concerti: h natural - i marillion su my space - interviste: I. Mosley, P. Trewavas, S. Hogarth - Il blog di Steve Rothery - ricordi di Seasons End. concerto di Parigi - recensioni: Marbles On The Road, Kino Picture, ecc. - interviste: Steve Rothery, Steve h, Mark Kelly - storie di ordinaria amicizia marillica - il diario di h.
speciale 'marbles' - marbles tour 2004 - Don Allum - Why?. 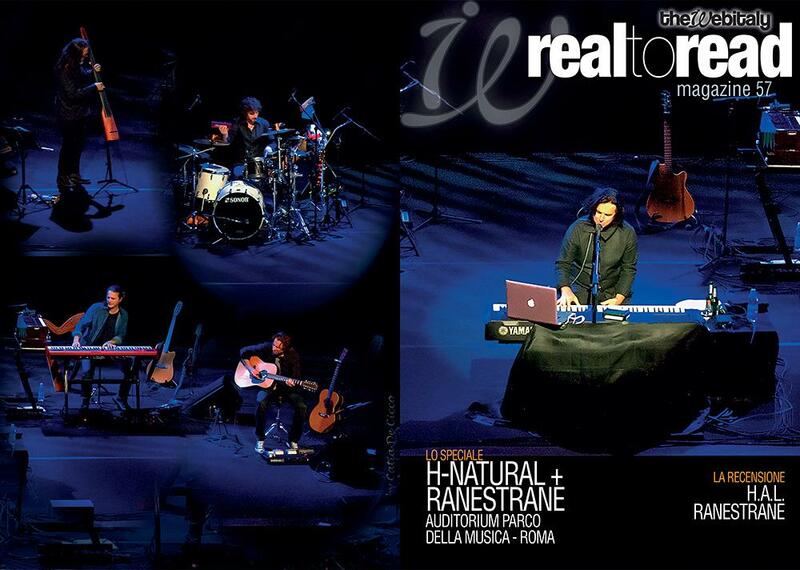 h Band live in Italy - Steve Rothery: intervista, strumentazione - Steve H’s Diary - intervista a Ian Mosley - Spartito: “Hollow Man” - Script for… "When I Meet God". Anorak in UK live - The Singles Box '82-'88 - Concerti italiani - Transatlantic - Dave Meegan - Front Row Club - Mark Wilkinson - Steve H’s diary - Spartito: "Now She'll Never Know". RTR convention - Binario Zero report -Speciale Anoraknophobia - Dopo cena con i Marillion - Fish, Fellini days - Transatlantic, Bridge across universe. TRANSATLANTIC: SMPTe, Biografia, Press Review, USA '00 - SPECIALE dotCOM: dot Com - Testi Christamas CD - Marillion: Londra '99 - Steve H: Ginevra '00. 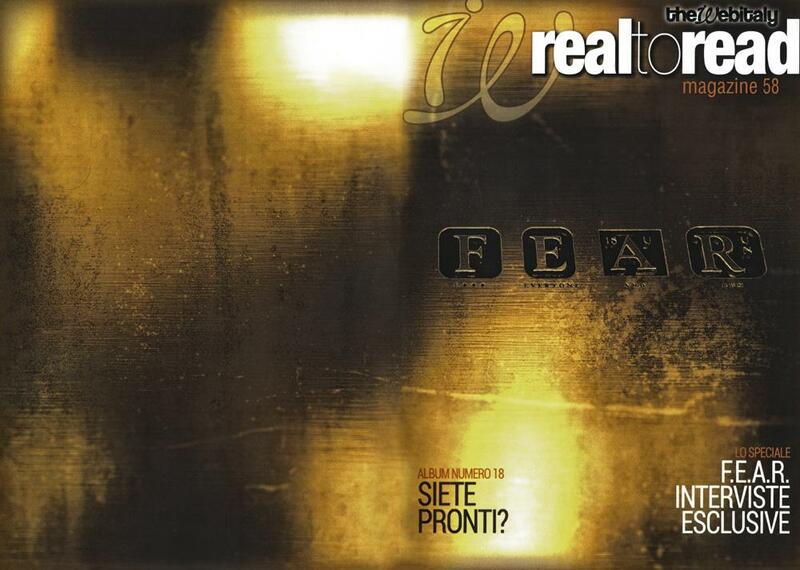 Radiation - Clutching at Straws Remasters - Steve Hogarth's Diary - Radiation: i testi tradotti - Radiation European Tour '98. 'Script…' & 'Seasons…' Remaster - INTERVISTE: Steve H, Dave Gregory - This Strange Engine Tour '98 - Press review. This Strange Engine - Ice Cream Genius - INTERVISTE: Steve R & H. Stobart, Steve H & Steve R, Porcupine Tree - This Strange Engine: traduzioni - H: traduzioni - Afraid of…: analisi testi (part 4) - CONCERTI: Steve H.
H 'Ice Cream Genius demo' - The Wishing Tree - INTERVISTE: Steve R, Steve H, Arena - Better Dream/The Deep Water: Testi & Traduzioni - Afraid of…: analisi testi (part 3). 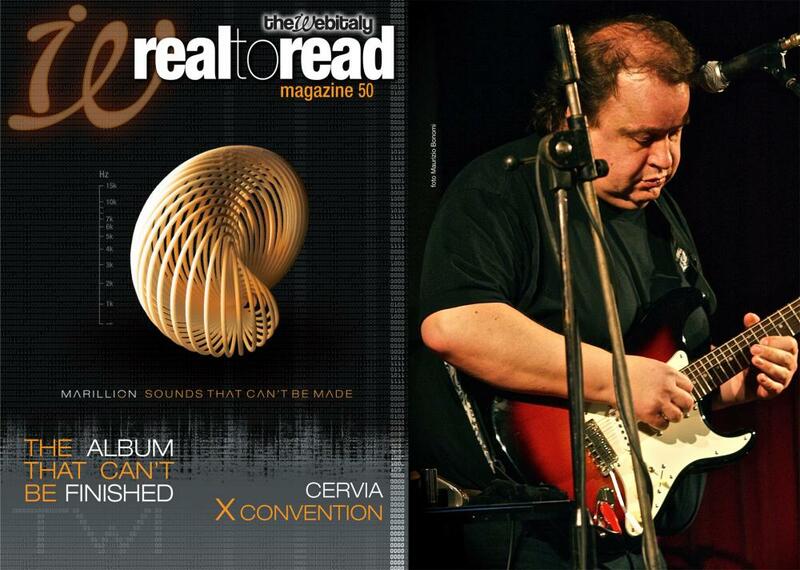 Recensione 'Made Again' - INTERVISTE a Mark Kelly, Pete Trewavas, John Helmer - Afraid of…: analisi testi (part 2). Beautiful, video & singolo - The Making of Brave - INTERVISTE a M. Kelly, P. Trewavas e S. Rothery - A proposito di Brave - Afraid of…: analisi testi (part 1). Afraid Of Sunlight - Intervista a Dave Meegan - Mike Hunter: Il cacciatore dei suoni - Steve H's Diary - Intervista a Mick Pointer - AOS: I testi tradotti - Intervista a Privet Edge. Intervista a M. Kelly - Intervista a S. Hogarth - .John Wesley: il poeta dei sentimenti - Marillion's Brave: il film (pt 2) - .Market Square Heroes: biografia ufficiale (pt 2). Brave on tour - Intervista a P. Trewavas - A proposito di Brave: i protagonisti raccontano - Everybody in the whole of… - Marillion's Brave: Il film (pt 1). Brave: le recensioni - Intervista a S. Rothery e I. Mosley - Brave: I contenuti - Steve Hogarth spiega il significato dei testi - Brave: i testi tradotti. A taste of Brave - Discografia UK - Brave: la storia - Brave: i testi - Everybody in the whole of the world… - Market Square Heroes (biografia ufficile - pt1). Starway to seven - Question & answer - I like to collect pt.4 - Come, taste the band - Testi - Live in Caracas - Something's waiting to happen. Crisis? What crisis? - Sorry: cronaca di un concerto annullato - 1982-1992 A video collection - Welcome to the 'Garden P' (?!?) - I like to collect pt.3 - The songs and the tours: 1984. Script from a splintering heart - Continua il tour… de force: il sequel - Another night of fun and games - Videovisioni: 'Dryland' - The songs and the tours: 1983 - Testi e traduzioni. Intervista ai Marillion - Videovisioni: 'Cover My Eyes' & 'No One Can' - Cumbria Rock '91 - Live In Paris - Live in Milan - HIE: i testi tradotti - Spartiti: The Space - The songs and the tours: 1982. Incontro con i Marillion - Holidays In Eden. Christmas dates 1990: Manchester 21-12; Londra 22-12 - From Stoke Row to Ipanema - The songs and the tours: 1981 - I like to collect - Spartito Cliché. The best we can - Marillion Italian tour '90 - Marillion at Wembley Arena - Easter: spartito - Your script - Fish News - Summer Knights - Intervista a Fish - Vigil in the wilderness of mirrors: traduzioni. Fish-Marillion: il derby infinito - Marillion: rassegna stampa - From Europe to London… - Seasons End: traduzioni - Fish: rassegna stampa - The Company: traduzione e spartito. Intervista a Steve H - Intervista a Steve R - Vigil In the wilderness of mirrors - Italian exile - Fish news - Heart of Hogarth - Let the votes flow. 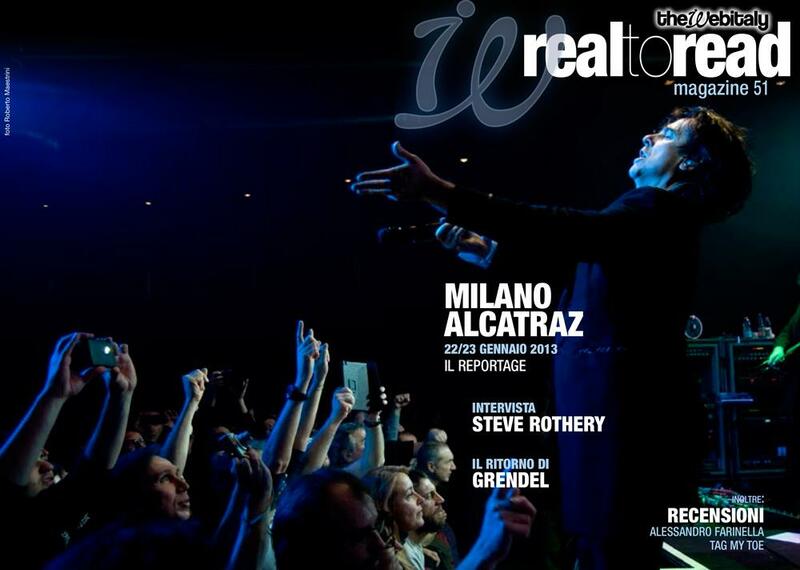 Editoriale - Fish news - Intervista a Fish - Marillion news - Your script. Is the game over? - Quello che accaddde veramente il 16/9/88 nel QG dei Marillion - Kayleigh: traduzione e spartito - Hearths of Lothian in the heart of Fife - Clipping from ancient newspapers. Italian tour '88 - Quella sporca ultima meta - Web night out - Jigsaw: traduzione e spartito - The return of the giant progressive - Market Square Heroes: biografia autorizzata dei Marillion. Wembley Square Heroes - Assault on Scotland - Visti da fuori - Live in Loreley - Your script - The right straw - Clutching at Straw: traduzioni. Intervista a Fish - Your script - Uno per uno: Ian Mosley - Risultati del refendum - Altro concorso, altro premio - Still driving, 'clutching' in Europe - Well suffery my pretty boys and follow me! - The collector. The year of the straw - Recital of the script: la storia pt.5 - The Web: traduzione e spartito - Referendum - Down at the Local - Milano 'Fanfula' 14/5/87. Another tour, another party - Incubus: traduzione e spartito - Script for a Jester's Test - Your script - La redazione… in galera! - Recital of the Script: la storia pt.4. Astinenza, psicologia e telefoni bollenti - The collector - Recital of the Script: la storia pt.3 - Script for a Jester's Tear: traduzione e spartito - The electric Garden party - Uno per uno: Mark kelly. Uno per uno: Steve Rothery - Recital of the Script: la storia pt.2 - "RTR" on tour - Charting the singels: i risultati del referendum - The Videos 1982/86 - "RTR" e i lettori. Charting the singles: referendum - Cinderella Search: spartito - Marillion & friends Charity Gig - He Knows You Know: traduzione - Uno per uno: Pete Trewavas - Recital of the Script: la storia pt.1. Inizia il tour… de force - Italia atto secondo - We know… they don't - 11/11/85 Stoccarda… Fugazi! - Cronaca di un innamoramento - A bitter end - Uno per uno: Fish - Discografia - Grendel: testo e traduzione.